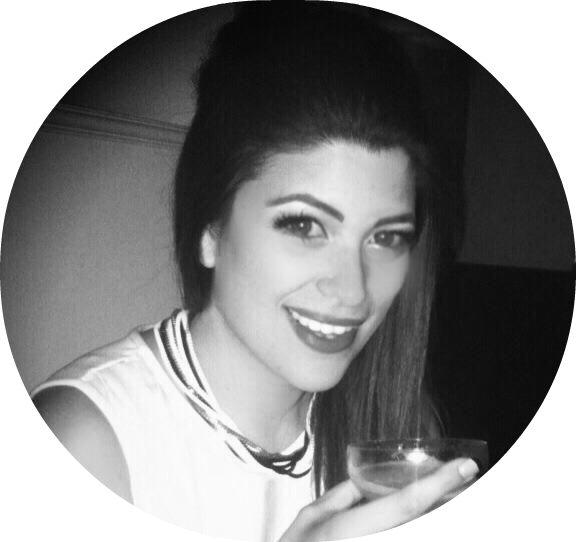 Whatever I might feel about her as a person, I've always been pretty interested in Kim Kardashian's beauty regime, and I may or may not have secret Pinterest board dedicated to her make-up looks (I'm admitting to nothing). But lately, it feels like all the buzz has been about her two younger half-sisters, Kendall and Kylie (kringe). Kendall, the older one, is the one that immeadiately catches the eye - she's a tall, stunning model now making serious headway on the couture catwalks, and Kylie is the shorter, less striking sister who seems to get forgotten about. However, Kylie has lately found a sort of grungy style that's the complete opposite from the known Kardashian fashion voacbularly, and I'll admit I've started to notice it. Lately, she's caught a few headlines because of the change in her lips. Overnight, she seems to have developed a beestung pout that has some people pointing in injectables. It's really her upper lip, which has gone from decidely smaller than the bottom, to a more balanced, fulsome pout. And I think it looks pretty good - she has big, wide eyes, so a bigger pout seems to balance out her face better. But on closer inspection, this isn't filler - its just really clever application of make-up. 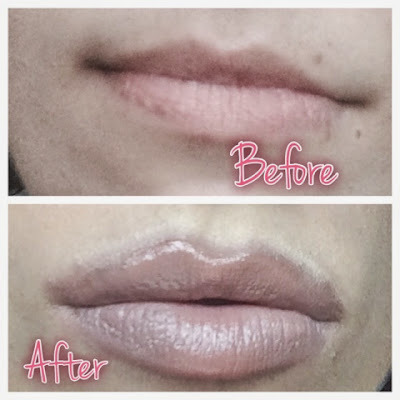 This possibility of transformation is what's always really excited me about cosmetics, so of course I wanted to try out a KJ style lip makeover myself, and share with you how she does it. 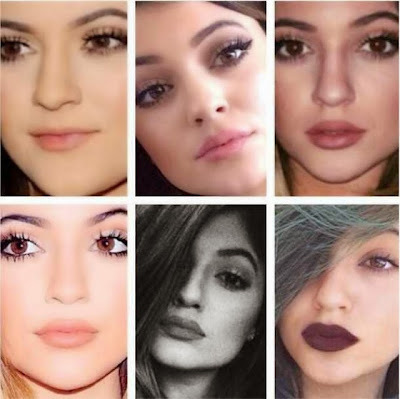 Here's a before and after of Kylie's kisser - form deflated to beestung. 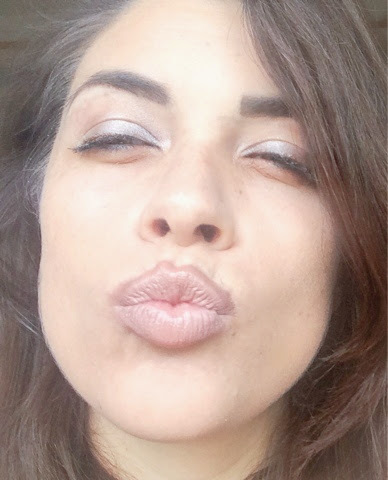 And here's my own lip makeover following her method - my lips weren't quite as unbalanced as hers, so I think there's less of a contrast, but it's still taken my lips from 'meh' to 'mwah, darling!'. 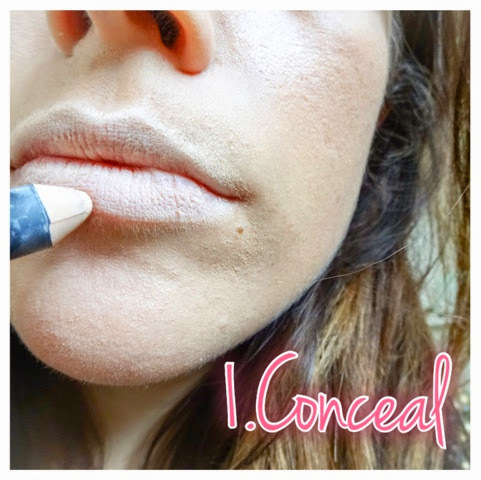 Step one is to line your lips around their natural borders with a matte, creamy concealer. 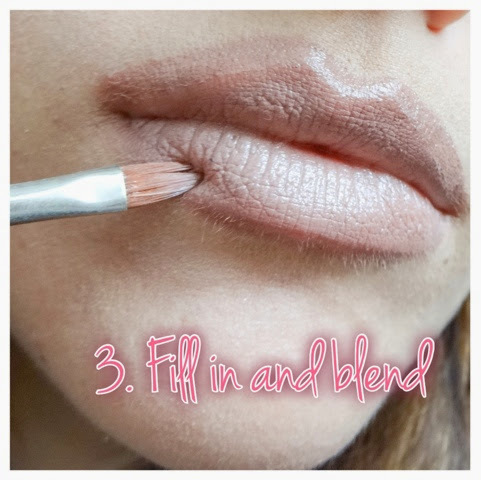 This step is essential, because it helps you to disguise the natural contours of your lips. Don't skip this step, or the overdrawing we're about to do will look ridiculous. I used the Seventeen Miracle Matte Concealer Crayon. I really love this because its so chunky and so blendable. 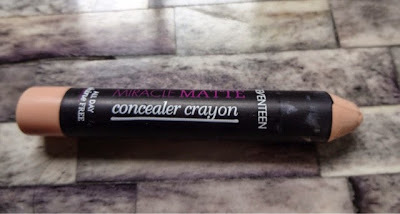 It's a great budget product for contouring, or really, face trickery of any kind. This bit needs to be done carefully, or you run the risk of looking like you escaped from the circus! Taking a lip liner a few shades darker than your original lip colour, carefully line around your lips and aim to balance out the shape. 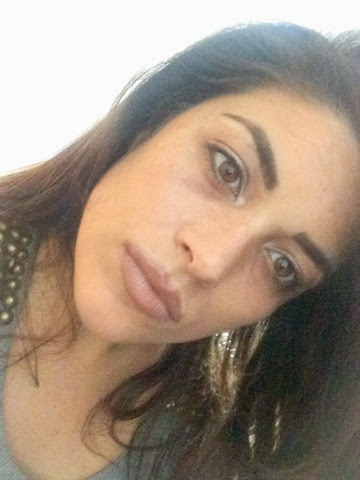 Generally, it will be your top lip that needs plumping, so here I've kept the liner on my lower lip at the actual line. On the top lip I've overdrawn the line buy about a millimeter and a half. 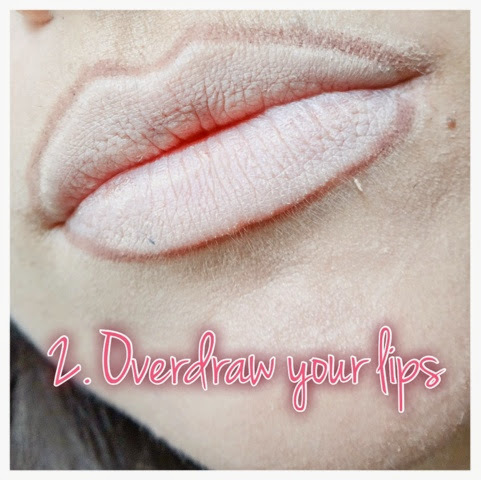 Too far away from the real border of your lips, and it becomes cartoonish. The aim here is to balance the volume of your lower lip. The top lip should never be bigger than the top lip - at the most, it should be just slighty thinner, even if you are aiming for an overplumped, Hollywood look. You can also correct the shape if you like. 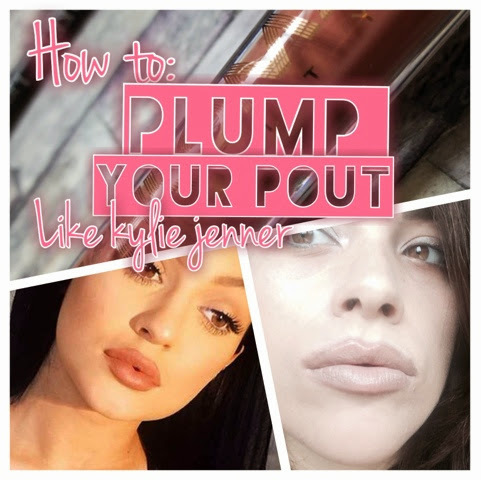 For instance, Kylie (or her MUA) have rounded out the shape of her top lip significantly, which gives a soft, pillow effect.I've chosen to stick with my quite pointy cupid's bow and just amplify it slightly, but the less curvature, the closer the effect will be to actual dermal filler. Appropriately enough, to do this I used something from the Kardashian's Khroma Beauty line. This is the lip stick and lip pencil in one, in the shade 'Au Naturel'. This is actually a wonderful product. It has the liner on one end, and the lipstick 'crayon' at the other. There's a sheer, glossy consistency to it and the colour is really pretty. A favourite product! Fill in the colour up the the line you've overdrawn. To avoid telltale harsh edges, take a lip brush and blend out the edges of the colour into the liner. You're aiming for a soft focus finish that stops the overdrawing from looking too obvious. I used the Emite Makeup Lip brush, which is a great tool for blending. A couple of extra little tricks to pop that pout. 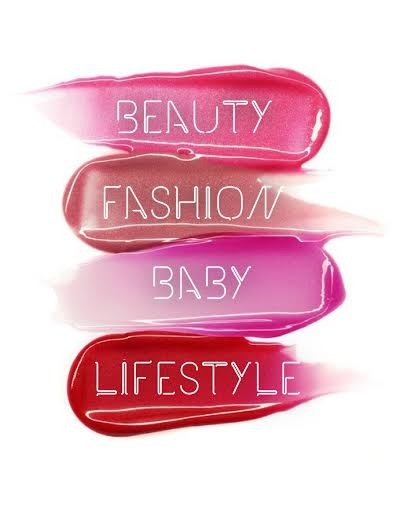 Add a little bit of gloss to the centre of each lip only. The shiny finish brings light that will create the illusion of more fullness. You can see I've also taken the concealer pencil again and added a border around the top lip, next to the 'overdrawn line'. This is a neat trick that gives an extra appearance of fullness. I do this most days, without the overdrawing and it just gives a pretty appearance. 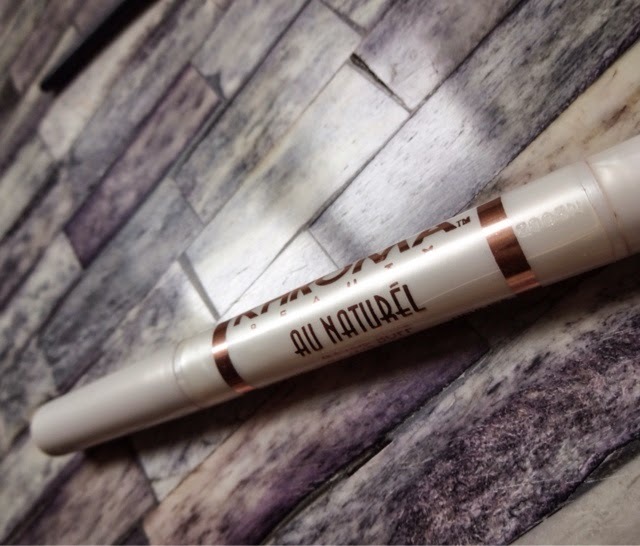 You need to blend this line with a concealer brush or your little finger after applying. 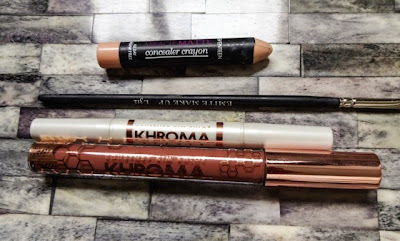 The gloss I used is also from the Khroma Beauty line, and again, its far better than I'd expect from a celebrity make-up line! It's the 'Honey Stick' gloss, and I love it - its pigmented and non-sticky, and it also smells of honey really strongly. 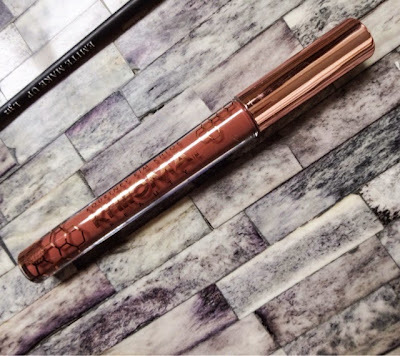 This is actually my favourite lipgloss - I'd take it over a Mac gloss anyday! It has moisturising agents and a very subtle fine golden shimmer - just like Kim's signature look. This is in the shade 'Wild Honey'. I want to collect them all now. And finally, the finished look. It doesn't look too drastic, but it really highlights your lips. Mmah! Have fun with your new pout - let me know if you've tried overdrawing! What did you think of it?